Innjoo has launched yet a low end smartphone called Innjoo X3. It features a 4" screen display, 512Mb RAM + 4GB inbuilt memory. There's also a 2MP rear camera and it runs on Android 5.1 Lollipop. Despite the fact that it's a low end smartphone, Innjoo X3 is currently the cheapest smartphone you can get in the market today. A phone you can probably get for your little kid. Below is the full specifications and price of the phone. 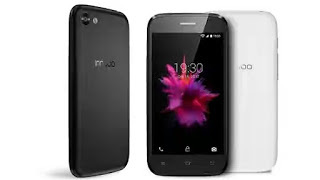 Innjoo X3 specifications. Unhook X3 released date. Innjoo X3 price in Nigeria, India, Kenya, China.